Established in 1982, the South Florida Fair has awarded more than $604,000 in scholarships. The winners were announced in the categories of general, arts and entertainment, agriculture, and band during an awards ceremony in Yesteryear Village during the fair. Families, the scholarship committee, South Florida Fair dignitaries and elected officials from many of the winners’ hometowns attended. 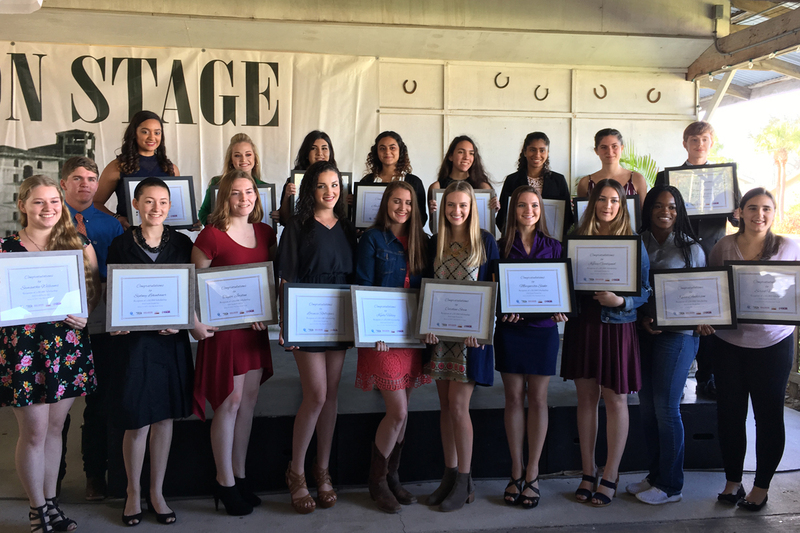 Photo of Scholarship Winners Front Row from left: Samantha Williams, Chandler Pearce, Sydney Lehenbauer, Taylor Jordan, Lorenza Rodriguez, Kadie Helvey, Caroline Stein, Margarita Sinko, Kelsey Goodspeed, Kacia Anderson, Siried Vizuete. Back Row from left: Morgan Daniels, Shelby Kirton, Gisell Rodriguez, America Amezquita, Anna Evans, Ava Erucker, Sage Albert, and Ryan Schnars. The committee members were Chairwoman Becky Isiminger, Vice Chair Annis Manning, Tim Childers, Lee Glaze, Glenn Jergensen, Robi Jurney, Dan Lewis, Stephanie Mitrione, Rob Pendleton, Bill Sneed, Eva Webb and Donna Winterson.